I had the chance to visit Saltaire Brewery this week, for a tour and a tasting. 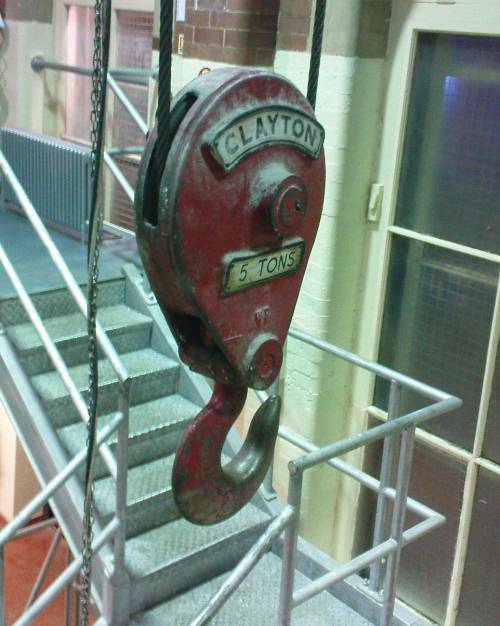 Saltaire Brewery have been brewing beer in a converted power station on the edge of the Leeds-Liverpool canal in Shipley since 2005, and have produced a range of about fifty different beers in that time. 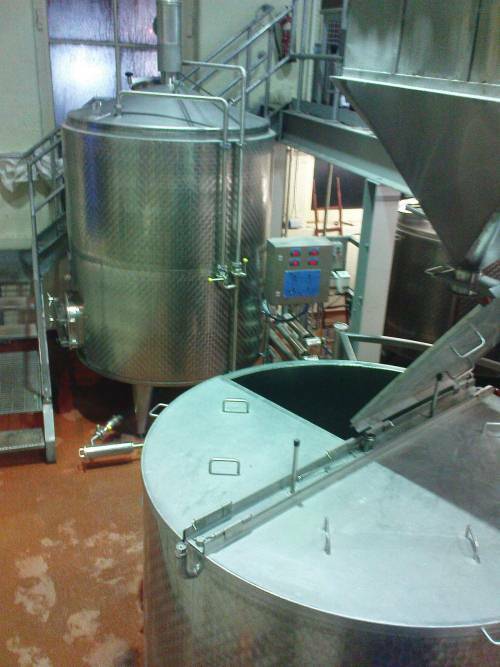 The brewery itself is very small, with capacity for three batches per week, amounting to some 10,000 casks over a year. Our tour guide took us through the whole brewing process, start to finish, which is something I know precious little about. He knew his subject inside out and was happy to answer our questions, bringing the process to life. The beer is excellent, and has improved enormously in the last year and a half. Four beers were available, ranging from a dark porter through to a very light American style ale. 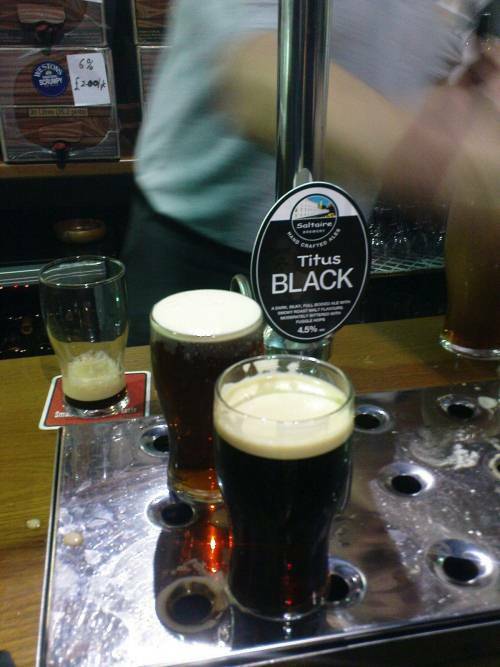 The porter, Titus Black, was superb – dark and rich, bitter but smooth with a lot of deep hop flavour. Winter Ale tasted distinctly of toffee or caramel, and had a rich sweetness offsetting the strong bitterness. 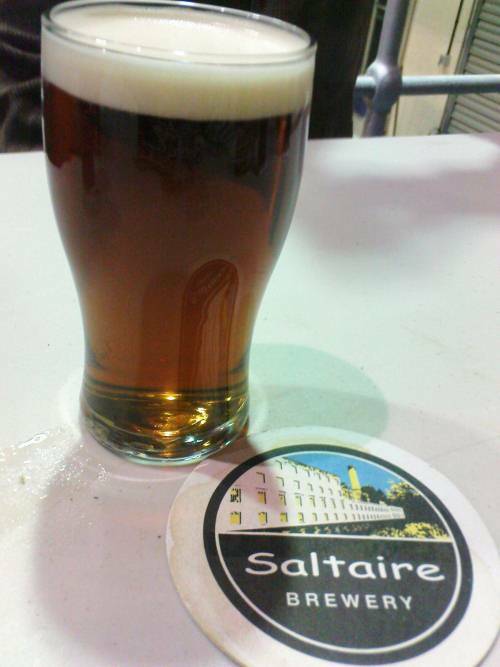 Saltaire Blonde was light and clear, more like a continental beer than a British one. Of the bottled beers, Goldings is probably the one to look out for. Saltaire Brewery’s beers can now be found in a fairly wide range of pubs and shops around Yorkshire, including some branches of Asda. It’s worth picking up, if you happen to see it. The legendary and award-winning Hazelnut Coffee Porter had run out, and still eludes me.